Since moving into this house, I have envisioned a fireplace flanked by bookcases in our living room. 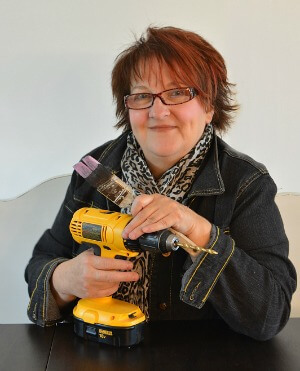 One Sunday morning while sipping my morning java and feeling frustrated by our unsuccessful attempts at finding a fireplace and bookcases within our budget, a light bulb went off in my head. 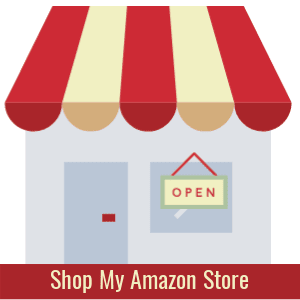 Why the heck can't we transform what we already have? I couldn't get my graph paper out fast enough to draw up a plan for our 80's Wall Unit Hack and how we could turn it into beautiful built-ins with a fireplace. The wall unit was one of our first purchases when moving in together in 1986. We have moved that heavy piece of furniture from home-to-home, city-to-city, and province-to-province. Here it is decked out for the holidays. On the bottom left we modified what was originally a drop down mini bar and installed an electric fireplace insert. Note: This project was completed in 2012, before I started blogging. I must apologize for the poor quality images. We removed the middle unit and dismantled it piece-by-piece as most of it was going to be salvaged for the bookcases. The vertical sticks of wood you see in the photo below are holding glued trim re-purposed from the door fronts while it dries. The trim fit perfectly across the top of each bookcase without the need to cut - love when that happens! Mr. Frugalista built a plywood box to house the electric fireplace insert. He added 3-inch crown molding and 1 1/4" decorative trim to the top of each bookcase as well as the fireplace box. Four inch decorative medallions and decorative trim were added to each side of the fireplace box which echoes the trim throughout our home. Slate subway tiles were installed around the fireplace opening, which are the same tiles in our front entry. We lined the back of each bookcase with paintable bead board wallpaper. First the wood on the old bookcases were sanded using a 80 grit sanding block to rough up the finish to give the paint some bite. First we primed the bookcases using Zinsser Bulls Eye Primer. All the built-ins received three coats of Behr Satin Interior paint using a short nap roller followed by three coats of Minwax satin polycrylic to protect the finish. The bookcases were mounted to the wall with L-brackets to give them that custom built-in appearance. The bookcase shelves were salvaged from the side panels of the former middle unit of the 80's wall unit. Matching trim was added along the bottom of all three pieces to unify them. New hardware matched our dining room built-ins. The photo above was taken after we finished this project in 2012. We have since incorporated many changes into this room as you can see by comparing the photo above from the photo below. While the paint color hasn't changed, we added White Board and Batten Walls. The large ottoman got refreshed Upholstered Ottoman Update. The bead board backs on the bookcases were painted green. We added Queen Anne Armchairs that we reupholstered and refinished for the space. Mr. Frugalista and I are so proud that we accomplished our dream at a fraction of the cost and spared an old piece of furniture from going to the landfill. 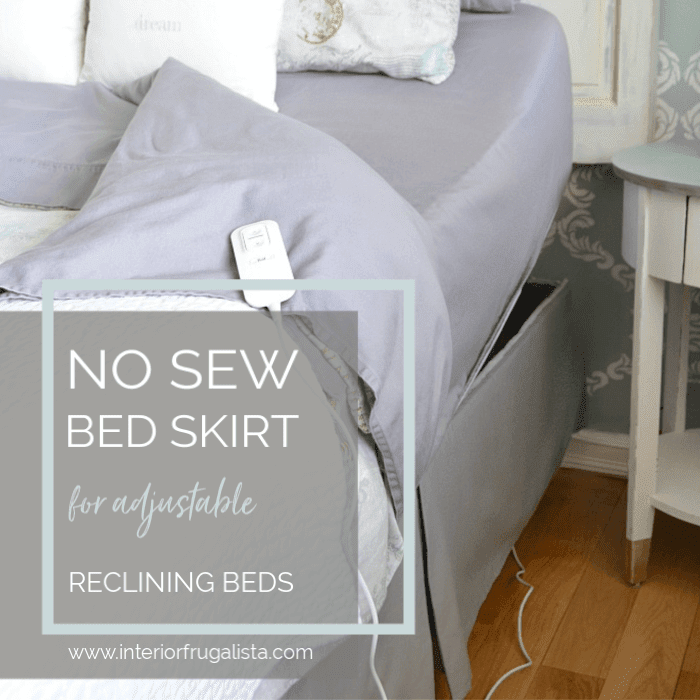 Breathing new life into old and dated furniture is my passion and the motivation for starting this blog. 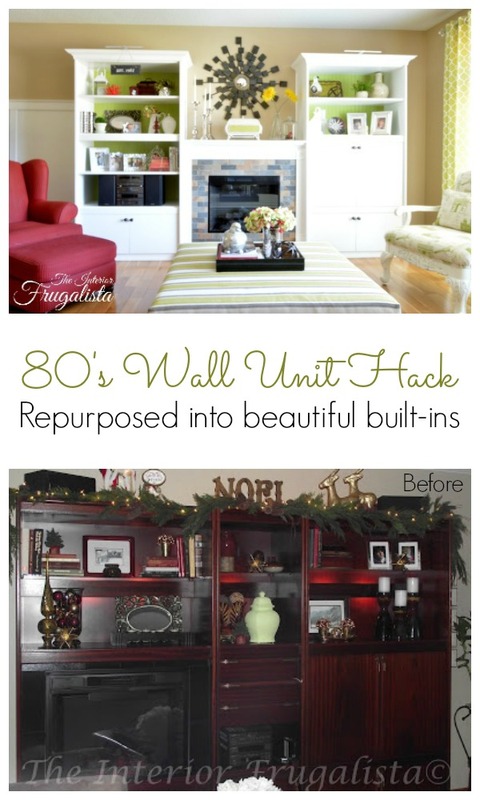 If you like our 80's Wall Unit Hack, please share it with a friend and/or save it on Pinterest. 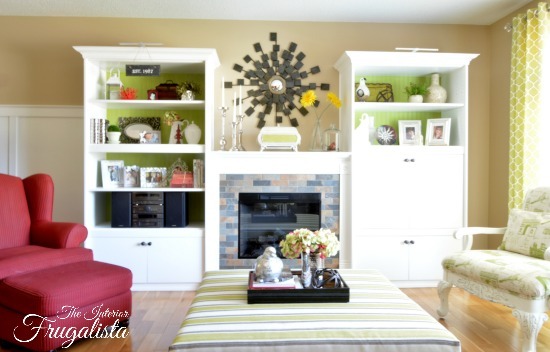 Do you have a dated wall unit entertainment center in your home that you would consider re-purposing into built-ins? If so, I'd love to hear about it!